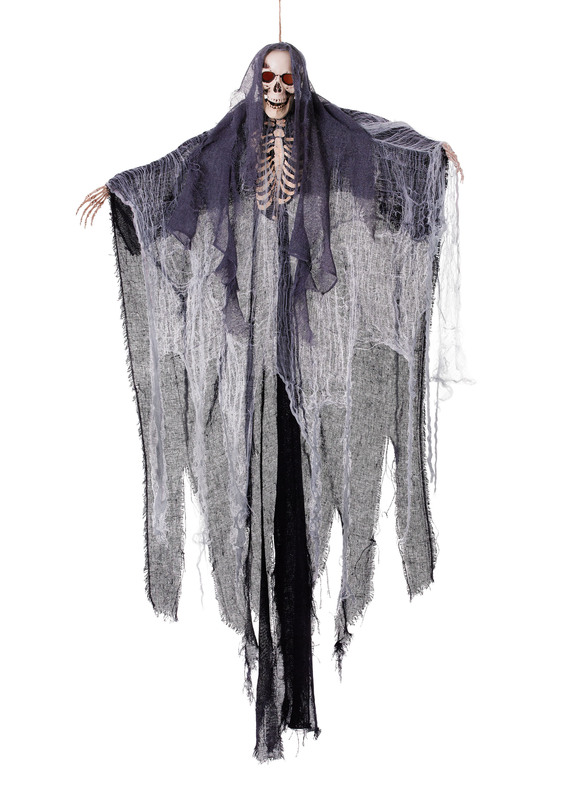 Skeleton is dressed in tattered cloth with hood. When activated at the top of the skull, the prop lights up and changes colour. First slowly and then starts to flash. The full length of prop is approx. : 2m including cord. Outstretched arms – 89xm in width.